(2016). A Study on ZnO Nanorod Arrays Formed on the Surface of Polyester Fabric. Journal of Textiles and Polymers, 4(2), 53-59.
. "A Study on ZnO Nanorod Arrays Formed on the Surface of Polyester Fabric". Journal of Textiles and Polymers, 4, 2, 2016, 53-59. (2016). 'A Study on ZnO Nanorod Arrays Formed on the Surface of Polyester Fabric', Journal of Textiles and Polymers, 4(2), pp. 53-59. A Study on ZnO Nanorod Arrays Formed on the Surface of Polyester Fabric. 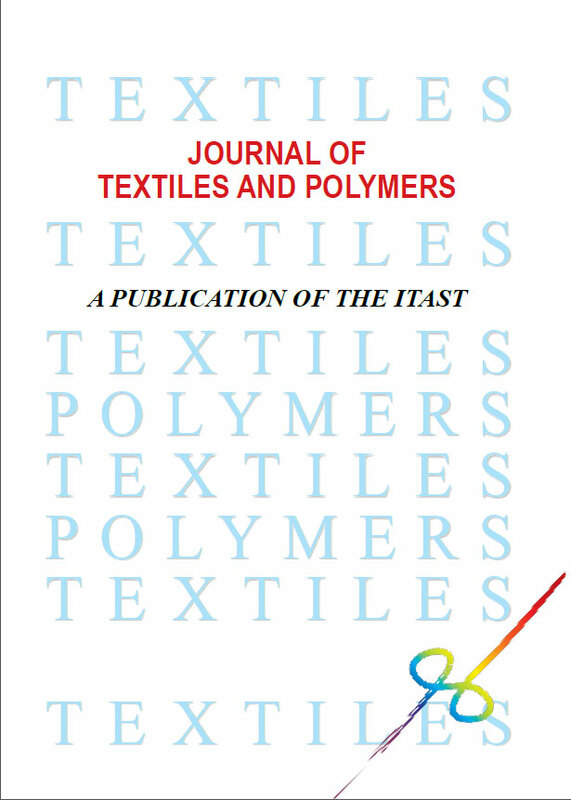 Journal of Textiles and Polymers, 2016; 4(2): 53-59. A feasibility study on the possible growth of rod-shaped nano size zinc oxide particles on the surface of polyester fabric was investigated. The nanoparticles were produced using a hydrolysis method, with a zinc compound being utilized as the starter material. Fourier transform infrared spectroscopy (FT-IR), scanning electron microscopy/energy dispersive X-ray spectrometry (SEM/EDS) and X-ray diffraction (XRD) have been used to characterize the composition of the nano particles, as well as their shape, size and crystallinity. The application of nano zinc oxide onto the polyester fabric was carried out in aqueous solutions at high temperatures, using the exhaustion method. The effective parameters such as time, temperature, the concentration of the dispersed nanogel and also the rate of heating, were selected to study the adsorption of the nanoparticles on the polyester fabric. The elemental analysis technique SEM/EDS was used to evaluate the amount of zinc on each sample. Finally, the possible growth of nanorod zinc oxide on a prepared sample using the sol gel technique was tested and desirable results were confirmed by means of SEM analysis.